There is a baby toy that our son got a few months ago that will keep him entertained when we are in the car or if he gets bored in the stroller. It’s the toy below, by the brand Baby Einstein. 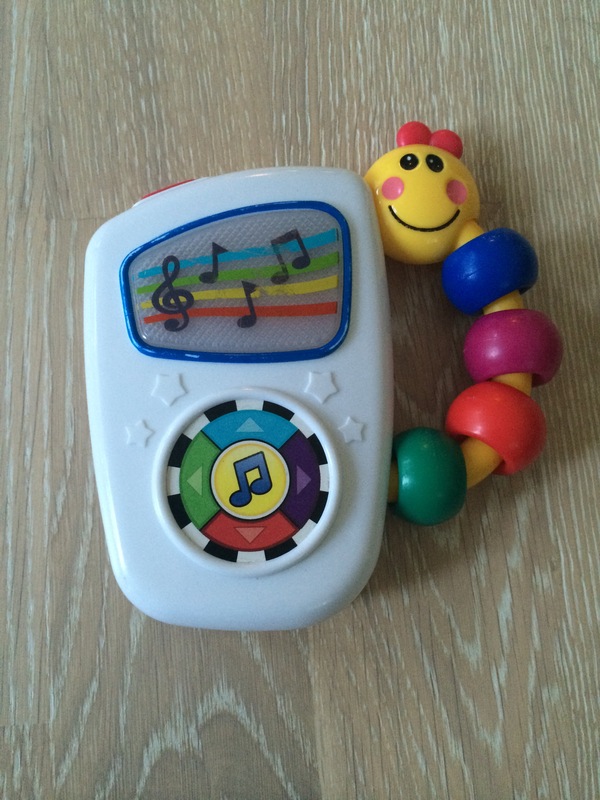 Basically it’s hard plastic and it plays music when the baby presses the button. Then another song plays when the button is pressed again. The songs are some kind of fast playful version of classical songs. It also has 2 volume levels ;). So, if you have a baby who is maybe looking for a bit more stimulation while on the go, this little gem is highly recommended! ← Day 144: Baby’s First Word?